Can your toddler help the baby find his bottles? Find out with ‘Hidden Picture’, a fun, printable activity for toddlers! 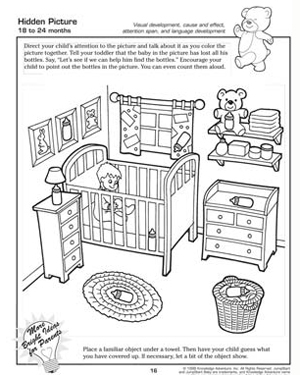 Print the activity sheet and color it as you help your little one find all the hidden bottles in the picture. This will not only help the toddlers sharpen their observation skills but will also aid visual and language development.